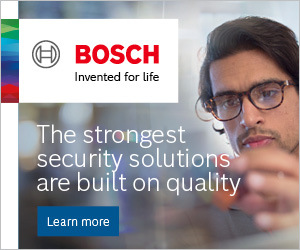 You can work smarter and more sustainably when electronic locks and keys power your security. An electronic locking solution minimizes security risks when keys go missing. With an eCLIQ system from ASSA ABLOY, you can manage everyone’s access from anywhere, at any time — electronically, securely and wirelessly. Based on award-winning CLIQ® access control technology, the eCLIQ system is built around precise locking mechanics and high-end microelectronics. A battery inside each programmable key powers the wide range of programmable cylinders and padlocks — and secures every data transfer. An eCLIQ system is also convenient. Thanks to multiple software options, you manage users’ access rights in a way that suits you best. Authorised key-holders carry a single, battery-powered key programmed with only their cleared access permissions. Robust and durable, eCLIQ cylinders are available for a wide range of doors, cabinets, lifts, alarm boxes, machines and entrance gates. Looking after your eCLIQ components is easy: an integrated lubricant reservoir ensures cylinders remain maintenance-free for up to 200,000 cycles. eCLIQ keys are durable, compact, and waterproof (IP67). They are easy to reprogram, enabling temporary and time-limited access permissions for every employee or contractor. AES encryption, rapid processing, and efficient energy management is built into the chip. When a key’s battery runs out, it is easily replaced without tools. Mechanical and encrypted electronic elements work together to make an eCLIQ installation highly resistant to both physical and electronic attack. Managing eCLIQ is straightforward. You can program keys with easy-to-use eCLIQ Manager software: choose between a local software installation or our secure web-based software which manages access rights from anywhere, in the cloud. 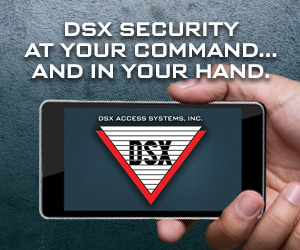 Security managers can host the Web Manager software on their own or use ASSA ABLOY’s Software as a Service solution. Users can also update their own keys with a range of programming devices, including wall-mounted units. With eCLIQ, missing keys are quickly de-authorised, cutting risks associated with key loss or theft. At any time, facility managers can generate a full audit trail to discover who has accessed which locks. Unlike other electronic access control systems, eCLIQ uses no mains electricity. The microelectronics inside an eCLIQ lock are powered by a standard battery inside every key. Energy-efficient and sustainable, battery power also minimizes disruption when you switch to eCLIQ. Because there is no cabling around the door, you don’t need to schedule invasive, expensive electrical wiring. 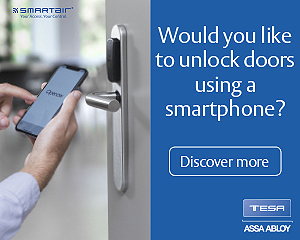 “eCLIQ is more durable, more secure and more efficient than conventional locking systems,” says Stephan Schulz, CLIQ® Product Manager at ASSA ABLOY EMEA. For an access control overhaul at University Hospital Frankfurt, managers sought a secure locking system for a new building: 1,100 eCLIQ cylinders and keys provided the solution. Now, with eCLIQ installed, nurses update access rights every morning for the day ahead. This new workflow minimizes security vulnerabilities and keeps everyone safer. Retail banking combines high security with complex workflows. Staff need efficient access. Facility managers need the flexibility to design access permissions around individual needs and clearances. Creval’s bank doors across Italy’s Lombardy region are now locked with more than 30 eCLIQ cylinders, putting managers in total control of entrance security. In the unlikely event a key is misplaced, Creval administrators simply delete it from the system. In Germany, eCLIQ locks AMPELMANN GmbH branches and their 2,200 m2 logistics centre, meeting the needs of their decentralized branch organization. Its 8 Berlin branches are staffed by several permanent employees. External service providers like cleaners need access. eCLIQ provides it — safely, securely and without major key-management workload. To learn how you could benefit from an eCLIQ electronic locking system, visit https://campaigns.assaabloyopeningsolutions.eu/cliq.